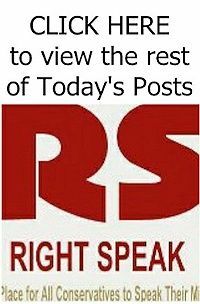 RIGHT SPEAK: Conservatives Must Stop Calling Trumpcare An Obamacare 'Repeal.' Here's The Big Reason Why. IT'S NOT! So, the Republicans in the House passed a health care bill. As I’ve now written here, here, here, and here, the bill does not repeal Obamacare. But it is vital for President Trump and Speaker of the House Paul Ryan (R-WI) that the Republican base believe it repeals Obamacare. That’s why Trump and Ryan held that premature and overwrought photo-op at the White House yesterday, after a bill passed the House with a simple Republican majority, before it could be read or scored by the Congressional Budget Office, before the Senate could even take it up (they won’t, they’ll write their own version), and before the bill can even go to conference committee. The goal was simple: win the headline for today. Don’t worry about tomorrow. 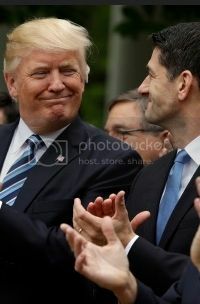 And so Trump and Ryan have to be grinning ear to ear at headlines from the hard left proclaiming that Trump and Ryan are responsible for Obamacare’s demise and blaming them for the alleged Health Care Zombie Apocalypse to come, headlines from Drudge crediting Trump and Ryan for killing Obamacare Van Helsing style, and headlines from the mainstream media handing Trump credit for his big win. There is just one problem: by conflating a non-repeal of Obamacare with a repeal, by pretending that the American Health Care Act somehow moves the health care system toward the free market in some serious way, rather than merely nibbling around the edges of Obamacare while restructuring Medicaid, Trump and Ryan are doing conservatism a serious disservice. They’re not just honestly acknowledging that they are attempting a process by which they can move away from a government-driven system. Instead, Ryan and Trump are stating repeatedly and openly that all problems with the health care system are driven by Obamacare, that replacement of Obamacare with Obamacare Lite is a free market solution, and that they own whatever comes next. At no point is the free market actually tried.